Arsene Wenger paid tribute to Thomas Vermaelen after their Community Shield win over Manchester City. 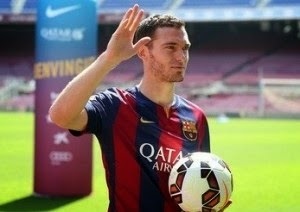 The Belgium international centre back formally signed for Barcelona yesterday. “I allowed Thomas Vermaelen to leave before the end of the season because he was not playing regularly, he behaved outstandingly the whole season with dignity,” said Wenger.